Access to Klickitat County and the Columbia River Gorge is as easy as it is enjoyable. 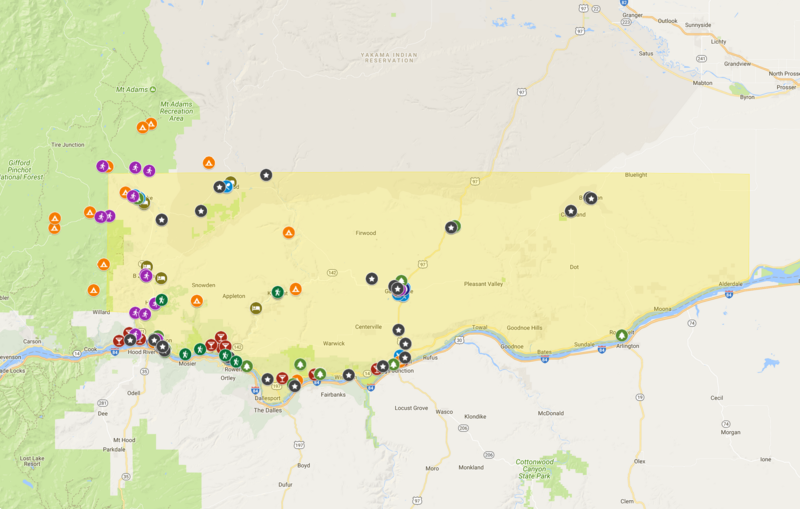 Klickitat County is located on the north bank of the Columbia River in South Central Washington between Skamania County to the west, Benton County to the east, and Yakima to the north. Our communities are located along major transportation routes, including interstate highways, two railroad lines, and the Columbia River. One of the best features of Klickitat County is its paradoxical nature as both a remote, quiet getaway and an easy-to-access area not far from Portland. Flying in: The Portland International Airport (PDX) is about an hour from White Salmon. There are smaller airports in Hood River and Dallesport. Drive from Portland, Oregon: Portland is a primary visitor gateway, lying only 60 miles to the wesr but a whole world away. Oregon’s I-84 snakes along the river, offering beautiful vistas and access to waterfalls and trails on the way to Cascade Locks, Hood River, Mosier, and The Dalles. Drive from Vancouver, Washington: Highway 14 offers a beautiful drive out of Vancouver and east through the Gorge. This two-lane highway is well maintained through the year and connects Vancouver to White Salmon, Bingen, Lyle, Dallesport, and on out to Goldendale, WA. By train: Amtrak service to Bingen and Wishram is available from Portland and carries visitors along the fabled Columbia River Gorge to our sunny and drier side of the mighty Cascades mountain range. Learn more here. 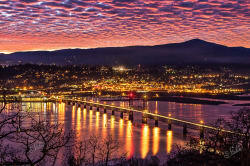 By bus: There is a Greyhound Station in Hood River, Oregon, across the Columbia River from Bingen. Mount Adams Transportation Services is designed to enable Klickitat County residents who lack transportation resources to meet their basic needs. Gorge TransLink is an alliance of rural transportation providers offering public transportation services throughout the Mid-Columbia area to more distant destinations including Portland and Vancouver. There are many other routes in and out of the area. Many of them are rustic forest roads, only accessible for a few months of the year. Highway 97 south from Toppenish, for example, is a well-traveled main highway that passes through Goldendale and joins Highway 14 at Maryhill. Here you can cross to/from Oregon over the Biggs Junction Bridge. 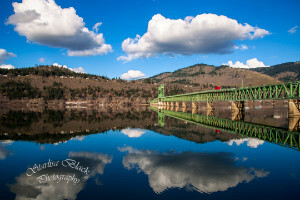 From Goldendale there are paved roads west to Glenwood and Trout Lake, connecting to Highway 141 where you can travel south to Highway 14. A turn off the Glenwood Highway travels southwest connecting to Highway 142 through Klickitat to Lyle and Highway 14. Yet another road travels through Centerville to Lyle, and more roads head east to Bickleton and other towns in the east end of Klickitat County. Bridge of the Gods: Exit 44. $2.00 for passenger cars and pickups with no trailers. Hood River Bridge: Exit 64. $2.00 for passenger cars and pickups with no trailers. The Dalles Bridge: Exit 87. No charge, not a toll bridge. Winter weather can make driving conditions difficult. I-84 is an interstate freeway and is maintained as staff and equipment allow. SR-14, on the sunny side of the Gorge, usually remains open and is generally well-maintained. Be sure to check on driving conditions if weather is questionable.